Nowadays, there would be khadiya in flour. Take one teaspoon flour and put in a vessel full of water. If flour float on water then there would be mixture in it. This creates intestine, lungs, kidney and throat problem. The chokar of flour is very beneficial for health. This gives power to fight against disease. Do not keep flour in refrigerator for long time. If you keep in refrigerator for long time then it creates stomach problem. Children always should eat rotti from fresh dough. 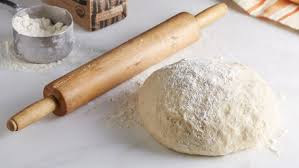 The quality of flour increases if you mix gram in flour. Do not remove chokar from flour. If Mars or Shani is impaired or if you face many problems on Tuesday or Saturday then offer sweet rotti to lord Hanuman, Shiva or Bhairav on shukalpaksh’s Tuesday.